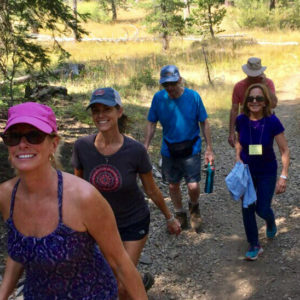 Join Andi, Dan, Gena, Genevieve and Stacy for this unique experience. 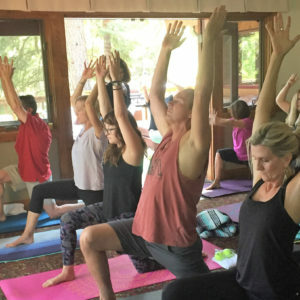 These are just some of the possibilities that await you on this Yoga and Fitness retreat. 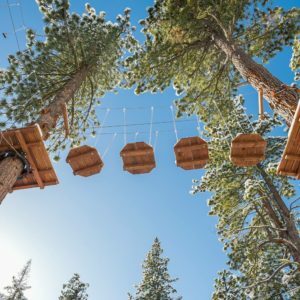 Enjoy the beautiful landscape and reconnect with the power of play that is often forgotten during the hustle and bustle of present day living. 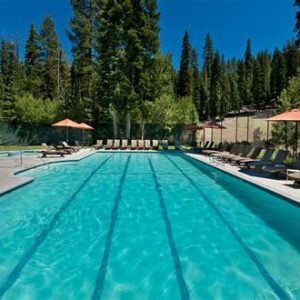 Experience a new level of rejuvenation when you practice and play in a new and tranquil setting. 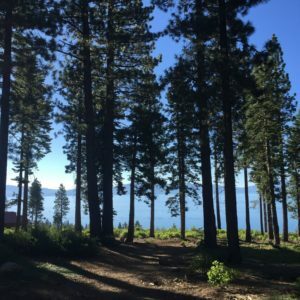 Granlibakken is a peaceful and relaxing Tahoe hideaway. The property consists of 74 wooded acres in a picturesque mountain valley at an elevation of 6,350 feet. 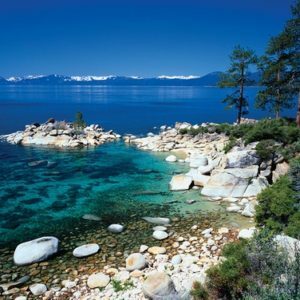 Spectacular Lake Tahoe is just minutes away. 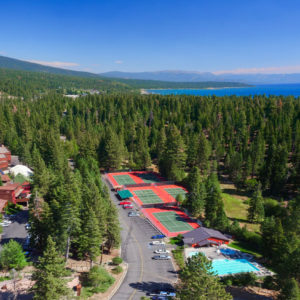 Airport shuttle to Granlibakken: reserve through Granlibakken by calling 800.543.3221, or book using: www.northlaketahoeexpress.com. The airport shuttle is by reservation only. Reservations made through Granlibakken must be made at least 7 days in advance, and there is a fee associated with this service. 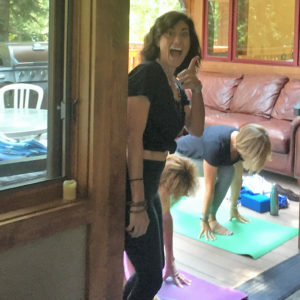 As a teacher and fitness coach for over 20 years, it is Andi’s greatest joy to hold retreats at stunning locations on this beautiful planet of ours! 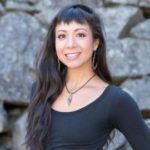 After years of studying and practicing many healing modalities including functional fitness, traditional yoga, yoga therapy, and massage therapy, she feels one of the best ways to serve is to bring people to a place of tranquility where they can take a pause from their everyday life. 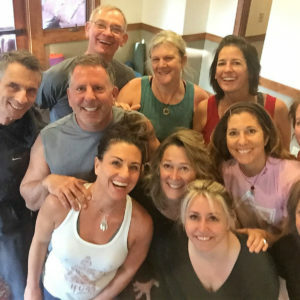 Retreating provides an opportunity to advance your practice, eat delicious and nutritious food, and connect with like-minded individuals in awesome locations like Greece, Sonoma, Calistoga, Thailand, Costa Rica, Haramara in Mexico, Litibu Mexico, Playa Viva,Mexico and Beautiful Lake Tahoe. Andi’s passion and experience speak volumes. 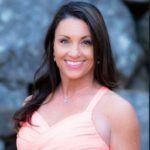 She is always looking for the next best fitness or yoga training, so she can share the most up to date information with her students. 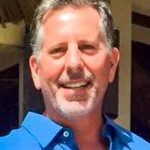 You will enjoy Dan’s humor and energetic personality each morning as he leads fun workouts! 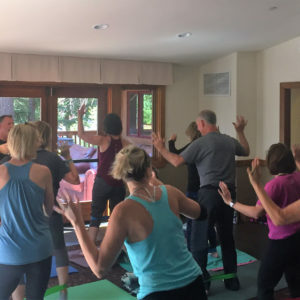 Gena Foreman’s passion for yoga began nearly 20 years ago when she took her first class at the local gym. An avid runner and mountain biker she came to yoga to stretch and find balance as a full-time mom. The feeling of peace, quiet and strength she experienced after class started to weave itself into every facet of her life. In 2004, she completed her first teacher training. 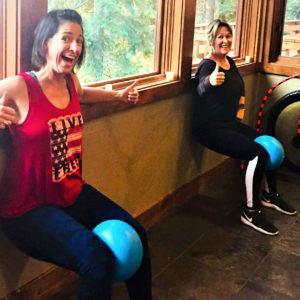 Her teaching style focuses on the awareness of conscience breathing, emphasizing core strength building endurance while finding the balance between effort and surrender. 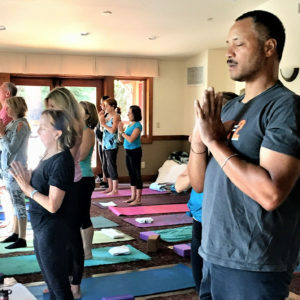 Gena encourages her students to listen to their body and honor where they are in that moment. She will challenge you to go to your edge, to find that inner place which allows you to grow. Gena is authentic, compassionate, and playful; students are nurtured, and individual needs are met. Shortly after the birth of Genevieve’s second child she was invited to take a Yoga class. This was her first “real” yoga experience. Needless to say, it was love at first drop of sweat and she is eternally grateful to her friends that brought her to yoga that day. Because she simply said YES her life had forever changed! She soon moved on to Power Vinyasa falling more deeply in love with the practice. Continuing further in the journey she became a certified through Yoga Instructor. She enjoys teaching both Vinyasa and Yin Yoga. Her goal as a teacher is to empower her students and help them find their freedom through yoga in a safe and nurturing space. Stacy embraces the Bhakti tradition. So, music and devotion play a supporting role in all of her classes. Bhakti is often described as the yogic path of devotion, emotion, love, compassion, and service to God and others. 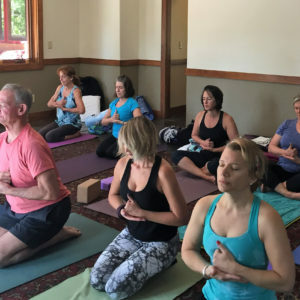 In addition to vinyasa and yin yoga Stacy is also offers educational workshops focusing on “Practicing Kitchen Yoga” and the preparation of whole and living foods. 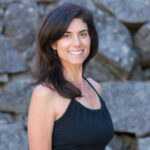 She specializes in guided cleanses and offers private yoga sessions, nutritional consultations, and guided group cleanses. 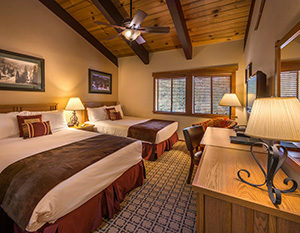 • Double occupancy – $675 per person if booked before April 1st. • Double occupancy – $775 per person if booked after April 1st. • Single occupancy – $875 per person if booked before April 1st. • Single occupancy – $975 per person if booked after April 1st. 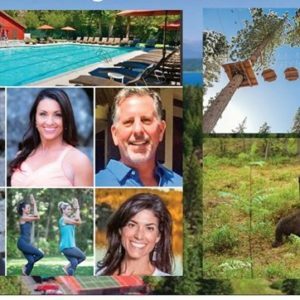 • If staying off property and participating in the retreat – $200 per person, per day if booked before April 1st. 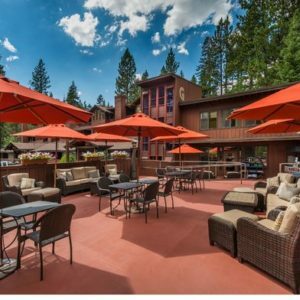 • If staying off property and participating in the retreat – $250 per person, per day if booked after April 1st. Our first gathering and practice will be at 1:30pm on Friday August 23rd. 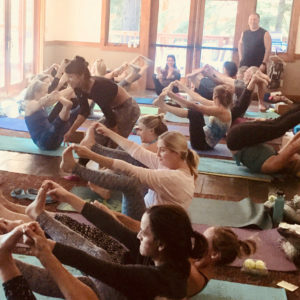 We will be offering a variety of styles of yoga, myofacial release techniques, meditation and fitness classes throughout the weekend. Our retreat will come to a close at 1pm on Sunday August 25th. However, you are welcome to use the pool/hot tub, and hiking trails for the rest of the day. 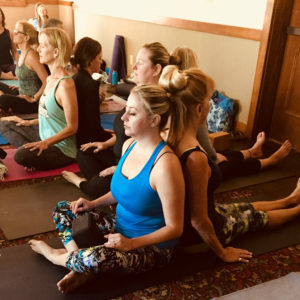 You will have the opportunity to enjoy classes taught by some of the most experienced yoga and fitness professionals from the Sacramento area. You will also have a chance to “chill” with Andi, Dan, Gena, Genevieve and Stacy during free time. 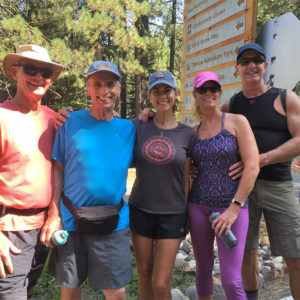 Whether its by the pool/ hot tub, on the hiking trails, the 1.4 mile walk to Tahoe City, or at the treetop adventure park, your fun and outgoing retreat leaders look forward to connecting with each one of you. 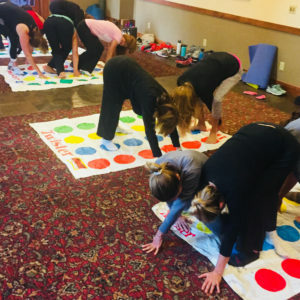 • You WILL need to bring your own mats, blocks and straps and any other yoga tools you like to have when you practice.